List następcy brytyjskiego trony ujawniła gazeta „Daily Mail”. Według rozmówcy z kręgów dyplomatycznych z tamtego okresu, Karol był przekonany, że amerykańska polityka zagraniczna na Bliskim Wschodzie była „szaleństwem”. Gazeta zwraca również uwagę, że żaden członek rodziny królewskiej nigdy nie złożył wizyty w państwie żydowskim. Ten schemat miał zostać przełamany w tym roku i Karol miał się udać do Izraela, aby uczcić stuletnią rocznicę Deklaracji Balfoura, zobowiązującą Wielką Brytanię to ustanowienia państwa dla Żydów w Palestynie. Jednak po interwencji brytyjskiego Foreign Office, powołującego się na negatywne implikacje w stosunkach arabsko-arabskich, wizyta w Izraelu została odwołana. He goes on to say terrorism in the region will only end when its causes are eliminated. He then expresses the hope a US President will find the courage to stand up to the American ‘Jewish lobby’. The term ‘Jewish lobby’ is considered by many to be anti-Semitic – suggesting wealthy Jews in the US operate behind the scenes to exercise undue influence over government policy. Other high-profile figures have been heavily criticised for using the term. While the letter is inflammatory, there is no suggestion Charles holds anti-Semitic views. He has many prominent Jewish friends and in 2013 became the first Royal to attend a chief rabbi’s inauguration ceremony. In a speech that year, he expressed concern at the apparent rise of anti-Semitism in Britain. In the past it has been reported that the Prince is privately critical of US policy in the Middle East, with one diplomatic source accusing him of having ‘fairly dodgy views on Israel’. 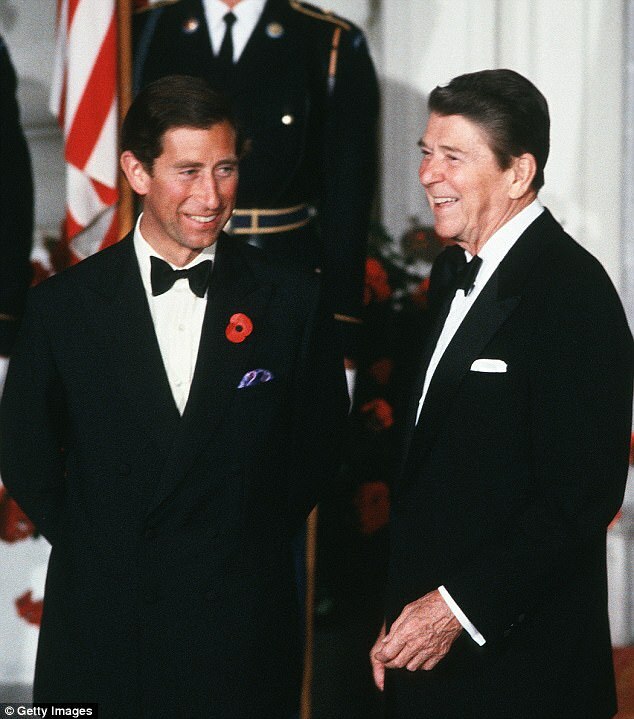 Charles has always enjoyed a close and supportive relationship with the Jewish community in Britain. At the same time, he is seen as a defender of Islam, with one historian noting that no other major Western figure has as high a standing in the Muslim world. It has also been suggested he has pro-Palestinian leanings, a perception the letter appears to support. Jews from Eastern Europe had been arriving in Palestine – part of which would later become Israel – even before 1917, when the Balfour Dedclartion set in motion the creation of the Jewish state. Among those who came after the end of the Second World War in 1945 were many survivors of the Holocaust. In May 1948, when Israel came into existence, five Arab nations – Egypt, Jordan, Iraq, Syria, and Lebanon – invaded but were defated by the Israeli military. 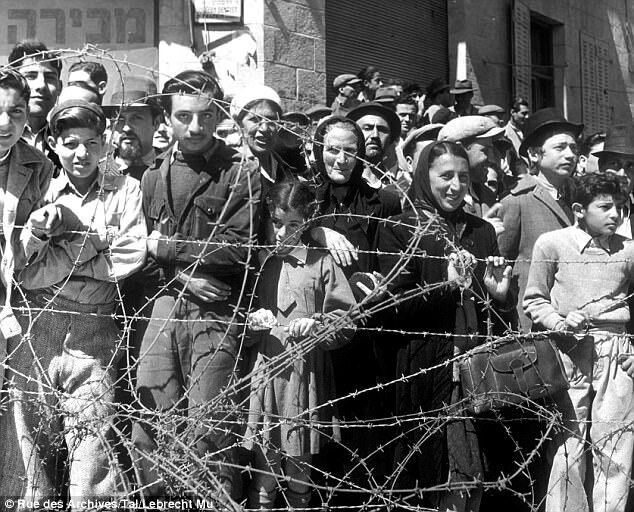 From 1948 to 1951, nearly 700,000 immigrants – many of them from refugee camps in Germany, Austria and Italy – arrived to settle in Israel. The Prince’s candid letter surfaced in a public archive. It was written on November 24, 1986, immediately after an official visit the then 38-year-old Prince made to Saudi Arabia, Bahrain and Qatar with Princess Diana. He notes the tour was ‘fascinating’ and that he learned ‘a lot about the Middle East and Arab outlook’. He goes on: ‘Tried to read bit of Koran on way out and it gave me some insight into way they [Arabs] think and operate. Don’t think they could understand us through reading Bible though! ‚Also I now begin to understand better their [Arabs’] point of view about Israel. Never realised they see it as a US colony. 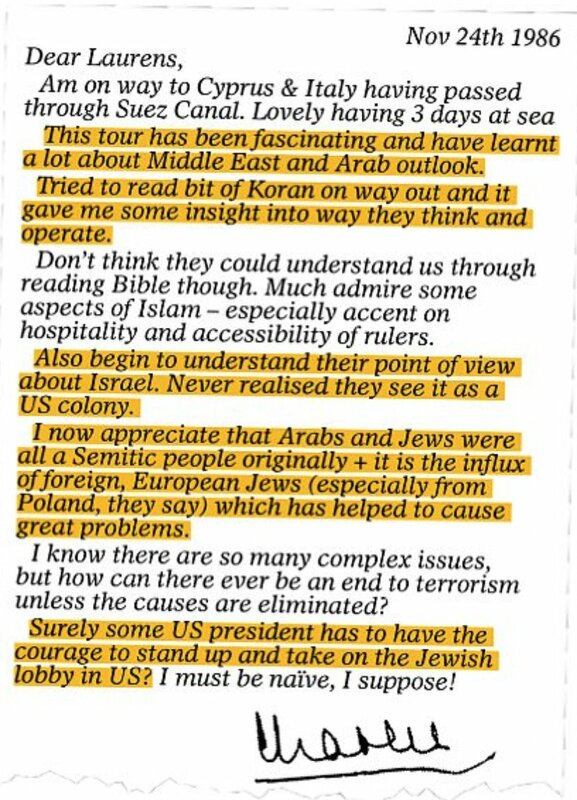 ‚I now appreciate that Arabs and Jews were all a Semitic people originally and it is the influx of foreign, European Jews (especially from Poland, they say) which has helped to cause great problems. I know there are so many complex issues, but how can there ever be an end to terrorism unless the causes are eliminated? Among those to come under fire for using the term ‘Jewish lobby’ are General George Brown, the highest-ranking military officer in the US as chairman of the Joint Chiefs of Staff, who was publicly rebuked and disowned by President Gerald Ford in 1974 after claiming that a ‘Jewish lobby’ controlled Congress. Former Ukip leader Nigel Farage was criticised earlier this month when he referred to ‘a powerful Jewish lobby’ in the US. In 2006, Chris Davies, former leader of the Lib Dem MEPs, was forced to resign after he used the term. Archbishop Desmond Tutu also came under fire when he used the phrase in a newspaper article in 2002. The Prince’s reference in the letter to the influx of European Jews also caused dismay. It is not clear if he is referring to immigration before or after the Second World War, or both. Mr Pollard said: ‘It is the absolute classic Arab explanation of the problems in the Middle East. Earlier this month, Britain marked the centenary of the Balfour Declaration, the document that paved the way for the state of Israel, with a gala dinner in London attended by Theresa May and Israeli prime minister Benjamin Netanyahu. The Prince called the centenary a ‘deeply significant moment’, adding ‘a great deal remains to be done if we are to bring about a just and lasting peace for Israel and her neighbours’. Suggestions that Charles holds pro-Palestinian views are supported by his letter to van der Post. He writes there is much to admire about Islam ‘especially its accent on hospitality and accessibility of rulers’. In 1993, Charles delivered what was then considered to be the most pro-Islamic speech ever made by a member of the Royal Family. In 2003, it was reported the Prince had not been to the US for the previous six years on Foreign Office advice, largely because of his criticism of US policy in the Middle East. In 2007, leaked emails between senior Clarence House staff put Charles at the centre of a row about the Royals’ attitude towards the Jewish state. Exchanges between Sir Michael Peat, the Prince’s then principal secretary, and Clive Alderton, Sir Michael’s deputy, contained apparently disparaging remarks about Israel. 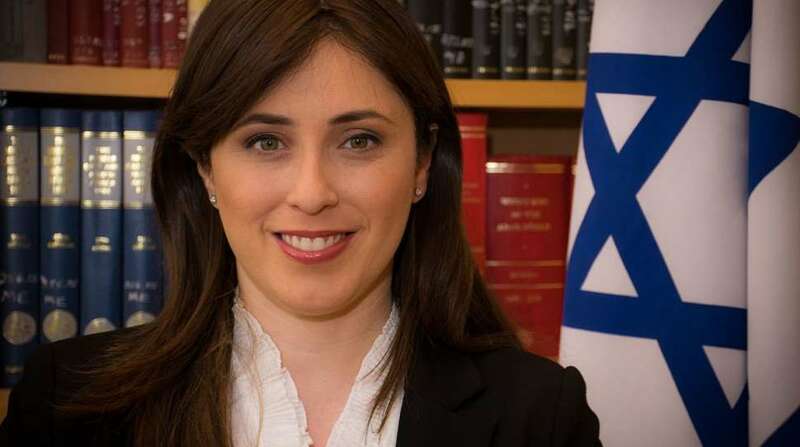 Earlier that year, the Israeli embassy invited the two senior aides to Israel for a four-day visit as guests of the Knesset, the Israeli parliament. But a month later, there was an exchange of emails between Mr Alderton and Sir Michael that were apparently accidentally copied to the outgoing Jewish ambassador. In the emails, Mr Alderton complains of being ‘pursued’ by the ambassador and says: ‘Safe to assume there is no chance of this visit ever actually happening? Over the years, the Prince has forged a close relationship with the Saudi royal family. But no Royal has ever visited Israel in an official capacity. Officials say it is because there is no permanent peace deal in the region. 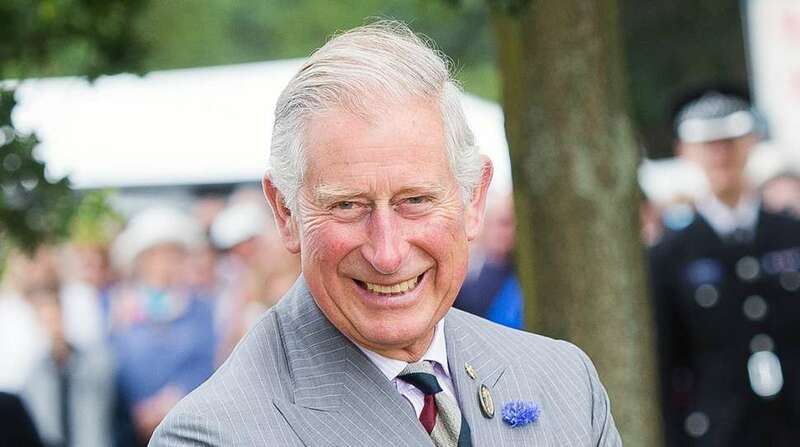 Earlier this year, however, Charles was pencilled in to visit the country to mark the Balfour centenary and honour thousands of British war dead. 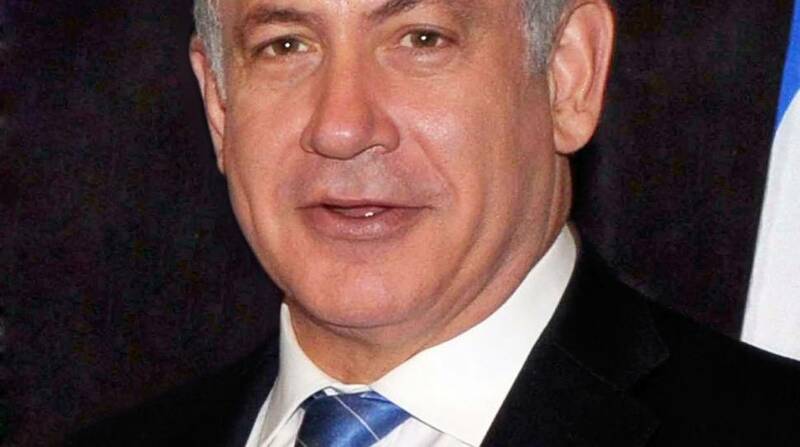 But the idea was vetoed by the Foreign Office amid claims it would upset Israel’s Arab neighbours. 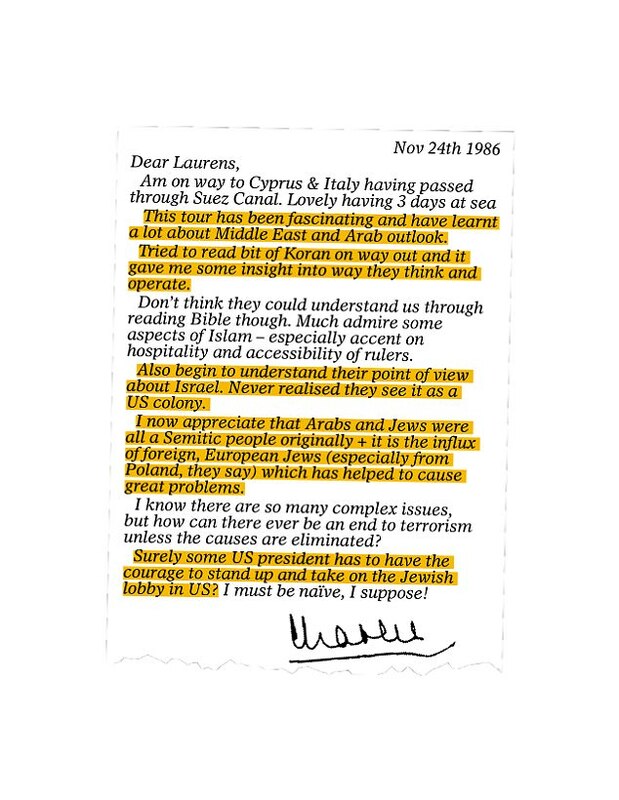 Last night a Clarence House spokeswoman said of the 1986 letter: ‘This letter clearly stated that these were not the Prince’s own views about Arab-Israeli issues but represented the opinions of some of those he met during his visit which he was keen to interrogate. ‚He was sharing the arguments in private correspondence with a long-standing friend in an attempt to improve his understanding of what he has always recognised is a deeply complex issue to which he was coming early on in his own analysis in 1986. Boring! Over thirty years ago. Irrelevant. Charles spends way to much time in the Gulf states, I actually think he’s jealous of their kings absolute power. I hope when the Queen dies it skips a generation and William or Harry is made king as Charles is now and always has been an embarrassment. He must be nuts, besides being an anti-Semite. Very worrying, and shocking. We can only hope than in 30 yrs time he has matured, educated himself and studied a lot of history. Esp. as related to the role of Britain and the troubles in the area. Read the novel Exodus by Leon Uris my dear Charles. It’s an entertaining read but more importantly might open your eyes to the hx of the region. AND BTw I am not Jewish nor Israeli. Just a little better educated I hope. Did not one of his son’s dress up as a Nazi, and had to spend time with the chief rabbi as a penance? And this is why he will never be king – because he’s a joke! This entry was posted in Dzieje, Nauka o człowieku, Tradycje i kultury, Zakazana Wiedza, Ściemy na masę, Życzenia pobożne and tagged American Jewish lobby, anti-Semitic, Arabowie, Bliski Wschód, Daily Mail, Deklaracji Balfoura, European Jews, Izrael, Izraelczycy, Jewish community, Jewish lobby, Jewish lobby in America, Jewropa, książę Karol, Laurens van der Post, lobby żydowskie, Palestyna, Palestyńczycy, Polska, Prince Charles, pustynna tradycja, terror poprawności politycznej, tzw. amerykańscy żydzi, tzw. polscy żydzi, tzw. żydzi, UK, USA, Usrael, ściemy na masę by SKRiBHa. Bookmark the permalink. Panie Duda, najgorsze to, że ŻIH oskarża Polaków o antysemityzm a nawet sprawstwo holokaustu. Kogo pan lobbuje? Lepiej zadbać o holokaustowanych Polaków przez żydo-stalinowskie hordy w latach 44-56. Adrjan na kolanach, albo przed żydostwem, albo przed neo-banderowcami… Przewidywalny koleś. Obowiazkiem Prezydenta RP jest gloszenie prawdy o zagladzie Polakow Zydow Polakow! Nie rozumiem tego przemilczenia. Na koniec organizator dziekowal za potepienie antysemityzmu! Czyli dominuje? Naprawde? Te, Kornhauzer, a co z prawdą o holokauście Polaków? Para Prezydencka wzięła udział w otwarciu wystawy „Czego nie mogliśmy wykrzyczeć światu” w Żydowskim Instytucie Historycznym im. Emanuela Ringelbluma w Warszawie. W swym wystąpieniu prezydent Andrzej Duda zwrócił uwagę na fakt, że Archiwum Ringelbluma jest dziś bezcennym świadectwem najtragiczniejszego rozdziału wspólnej historii Polaków i Żydów. Szanowny Panie Premierze, Szanowna Pani Minister, Szanowni Państwo Ministrowie, Wielce Szanowny Panie Profesorze, Gospodarzu Dzisiejszej Uroczystości, Szanowna Pani Ambasador, Ekscelencjo, Szanowni Państwo Prezesi, Wszyscy Dostojni Zgromadzeni Goście! Oni się nazywali Oneg Szabat, co po hebrajsku znaczy Radość Soboty. Nazywali się tak, bo spotykali się w święty dla Żydów dzień ‒ w tym gmachu, gdzie mieściły się Biblioteka Główna Judaistyczna i Instytut Nauk Judaistycznych. Przychodzili tu w tamtych dniach bardzo często, najczęściej głodni i zziębnięci. Wymieniali się informacjami o sprawach bieżących, które dla nich były codziennością, a dla nas są dzisiaj głębokim wstrząsem. Mówili o tym, kto umarł, kogo zamordowano, ale także o tym, komu udało się uciec z getta. Przez okna widzieli Wielką Synagogę na Tłomackiem, wspaniały dom modlitwy Żydów postępowych, gdzie za czasów zaborów kazania wygłaszano po polsku. I manifestowano patriotyzm, a także nadzieję na odrodzenie Rzeczypospolitej – tej, którą nazywamy dzisiaj Rzecząpospolitą Przyjaciół. Widzieli w tamtych dniach, jak do świątyni wchodzą ludzie ubrani w łachmany, powłócząc nogami, wycieńczeni strachem, głodem, chorobami – ludzie umierający. Z pełną świadomością ludzi światłych i wykształconych rejestrowali kolejne etapy realizacji zbrodniczego planu nazistowskich Niemców: najazdu hitlerowskiego i zniszczenia suwerennego państwa polskiego, eksterminacji elit społecznych, odizolowania Żydów w gettach, bezwzględnej eksploatacji całej ludności poprzez niewolniczą pracę, stopniowego pogarszania warunków życia w gettach aż do skazania mas ludzi na zagłodzenie, wreszcie likwidacji kolejnych gett w regionie Warszawy i Wielkiej Akcji deportacji Żydów z Warszawy do obozu zagłady w Treblince. Widzieli, jak naród żydowski był systematycznie wyniszczany przez Niemców, którzy tutaj, na ziemię Polin, przynieśli swoje fabryki śmierci i chcieli bezpowrotnie zniszczyć tysiącletnie dziedzictwo tamtej Rzeczypospolitej, którą nazywamy Rzecząpospolitą Przyjaciół. Byli świadkami tragedii, ale i sami cierpieli. A jednak swoje dzieło nazwali Radość. Dlaczego? Może dlatego, że dokumentowanie tamtych dni, dokumentowanie Zagłady uczynili sensem ostatnich lat, miesięcy, dni, godzin, chwil swojego życia. Bo niemal wszyscy zginęli. Ginęli wraz ze swoimi rodakami na ulicach getta, w komorach gazowych Treblinki, powstaniu kwietniowym tu, w getcie, w 1943 roku. Jako jeden z ostatnich, na początku marca 1944 roku, został zamordowany Emanuel Ringelblum. Zamordowano go po odkryciu przez Niemców schronu na Ochocie, gdzie ukrywało się 38 Żydów ‒ wszystkich tam zabito wraz z ukrywającym ich polskim ogrodnikiem Mieczysławem Wolskim. Oni zginęli, ale pozostawili po sobie rzecz bezcenną: Podziemne Archiwum Getta Warszawy. To dzięki ich pracy znamy straszliwe realia życia codziennego w tej dzielnicy zamkniętej, ich materialne artefakty: takie zwykłe – bilety, ulotki, gazety, plakaty, ale przede wszystkim relacje ludzi skazanych na śmierć, systematycznie zamęczanych i eksterminowanych. Nie ma w tym cienia radości, ale jest pośmiertne zwycięstwo nad katem, bo właśnie dzięki Oneg Szabat została ocalona pamięć o ofiarach, ich imionach, przeżyciach, myślach i uczuciach – pamięć, która miała zginąć, miała wraz z nimi stać się garstką popiołu zagrzebanego pod gruzami, w których legła także warszawska Wielka Synagoga. Chcę dzisiaj przypomnieć zapomniane słowa twórcy archiwum, Emanuela Ringelbluma. Wybuch II wojny światowej nie zastał go w Warszawie – zastał go w Genewie na kongresie syjonistycznym. Ringelblum zapisał wtedy w swoim dzienniku: „Nasze postanowienie, by wrócić do kraju, podyktowane jest obowiązkiem obywatelskim”. Gdyby nie wrócił, być może przeżyłby wojnę. Gdyby nie wrócił, może nie powstałby Oneg Szabat ‒ i nasza wiedza o Zagładzie Żydów byłaby dziś nieporównywalnie mniejsza, uboższa. Ringelblum wybrał jednak inaczej. Wrócił do okupowanej przez Niemców Warszawy, bo był Żydem, ale był również patriotą Rzeczypospolitej. Był Żydem polskim i nie mógł pozostać obojętny wobec najazdu hitlerowskich Niemiec na swój kraj. Już w październiku 1939 roku ruszyły prace stworzonego przezeń zespołu badaczy, który – według jego słów – „usiłował odtworzyć wszechstronny obraz życia Żydów podczas wojny”. Gromadzone informacje o Zagładzie przekazywano Rządowi Rzeczypospolitej w Londynie. Archiwum powstało dzięki różnym środowiskom żydowskim i utrzymywało współpracę z Polskim Państwem Podziemnym. Ringelblum i jego współpracownicy to bohaterowie polskiej i żydowskiej konspiracji. „To, czego nie mogliśmy wykrzyczeć przed światem, zakopaliśmy w ziemi. Niech ten skarb dostanie się w dobre ręce, niech dożyje lepszych czasów, niech zaalarmuje świat” – słowa testamentu 19-letniego Dawida Grabera, który brał udział w zakopywaniu w getcie skrzyń z częścią zbiorów Oneg Szabat, stały się tytułem otwieranej dzisiaj wystawy. Archiwum Ringelbluma dało początek Żydowskiemu Instytutowi Historycznemu, którego założenie 70 lat temu było następstwem wydobycia w 1946 roku pierwszej części zbiorów. Drugą część, ukrytą w bańkach po mleku, odkryto w roku 1950. Trzeciej mimo poszukiwań nie odnaleziono do dziś. W skrzyniach i blaszanych bańkach – niczym w arce – przetrwała prawda o Holokauście, najstraszniejszej zbrodni w dziejach ludzkości, popełnionej przez hitlerowską III Rzeszę Niemiecką na obywatelach Rzeczypospolitej narodowości żydowskiej. Archiwum Ringelbluma jest bezcennym świadectwem najtragiczniejszego rozdziału wspólnej historii Polaków i Żydów. Jest bardzo ważnym elementem dziedzictwa Rzeczypospolitej. O jego randze i znaczeniu świadczy fakt, że w 1999 roku zostało wpisane na listę UNESCO „Pamięć Świata” razem z autografem dzieła Mikołaja Kopernika De revolutionibus i rękopisami Fryderyka Szopena. Na znak stłumienia powstania w getcie 16 maja 1943 roku Niemcy wysadzili w powietrze Wielką Synagogę i podpalili gmach Biblioteki. Ten drugi – gmach, w którym się znajdujemy – szczęśliwie ocalał, ale ślady pożaru widoczne są tutaj, można je zobaczyć chociażby na środku, na posadzce tu, w holu, w tym pomieszczeniu. Był to – powiemy dzisiaj – symboliczny akt barbarzyństwa wymierzony w religię, kulturę, tożsamość Żydów, a zarazem w dziedzictwo Rzeczypospolitej. Niemcy chcieli nie tylko zgładzić całą społeczność żydowską, ale też zniszczyć pamięć o jej historii. Chcieli zniszczyć jakiekolwiek ślady życia społeczności żydowskiej, jakiekolwiek ślady życia w getcie, a samo getto dosłownie zrównali z ziemią. Zbiory Podziemnego Archiwum Getta Warszawy i 70-letnia działalność Żydowskiego Instytutu Historycznego przyczyniły się do pokrzyżowania tych zbrodniczych planów. Otwierana dziś wystawa ‒ stała, prezentująca dokumenty z Archiwum Ringelbluma ‒ to kolejny ważny krok w przywracaniu pamięci o świecie, który z woli hitlerowskich zbrodniarzy miał zniknąć na zawsze. Ale przetrwał – dla pamięci Rzeczypospolitej. A może więcej: przetrwał przede wszystkim dla pamięci świata. Jestem dziś tutaj jako Prezydent Polski, jako Prezydent Rzeczypospolitej, bo mam głębokie przekonanie, że naszym obowiązkiem jest właśnie głoszenie prawdy o Zagładzie Żydów. W ten sposób niejako kontynuowane jest dzieło Emanuela Ringelbluma i jego współpracowników z Oneg Szabat. Ale także dzieło takich ludzi, jak Jan Karski, Witold Pilecki, których raporty niosły władzom emigracyjnym i aliantom zachodnim wiedzę o tragedii Holokaustu już wtedy, gdy Niemcy jeszcze go dokonywali. I dlatego chcę z serca podziękować wszystkim, którzy na co dzień współtworzą Żydowski Instytut Historyczny, wypełniając tę ogromnie ważną misję. Wiem, że jest to miejsce szczególne dla Żydów polskich – dla pamięci o historii narodu żydowskiego, ale też dla współczesnych, którzy tutaj m.in. dzięki działalności Działu Genealogii znajdują pomoc w poszukiwaniu swoich korzeni zagubionych przez wojnę. Wszystkim Państwu chcę złożyć gratulacje i podziękowania z okazji jubileuszu 70-lecia Żydowskiego Instytutu Historycznego, ale także i najlepsze życzenia sukcesów w tej ogromnie ważnej, dziejowej pracy ‒ misji o przeszłości dla przyszłości. Dr Dudo, a może coś jewrejach stalinowcach mordujących Polaków ? ja natomiast mam głeboka nadzieję,że żydzi z rowna gorliwościa ogłaszac beda swiatu o totalnym ludobójstwie POLAKOW dokonanym przez szkopow i kacapow, symetria obowiazkowa. A o Mordzie na Wolyniu nie? tam zginelo min 300 tys niewinnych Polakow, IPN zaniza liczby! Zobacz -Wolyn -Mowia Swiadkowie-Janina Johnson z Nysy! b ciekawe-Polecam. Pozniej dyskusje! waszym obowiązkiem jest mówić o żydach, ale prokuratorach żydach wysyłających na śmierc Polaków , zołnierzy wykletych i innych!!!!!!!!!!!! Adrian Konhauser zwany dla niepoznaki Duda , cynizm fałsz i obłuda a dla zwyklych ludzi dla ulicy żyd to żyd i kazdy wie oco chodzi, chołdowac wrogów ojczyzny to jest zdrada. zatkaj sie wreszcie dudus i won, won paszol!! Strasznie wybiórcza jest jego historia a co z zaborami i Wojnie Polsko Rosyjskiej i znowu napaści Niemiec i Rosjan w 39r. i roli Żydów w tych wydarzeniach nie wspominając o okupacji po 44r. Nie musimy się troszczyć o sprawy akurat tej nacji, bo ona już dawno się o nie najlepiej zatroszczyła. My możemy co najwyżej tylko się od niej tego uczyć. Przestańcie pluć , prezydent oddaje cześć Żydom , polskim Żydom , którzy zginęli w Holocauscie. To dowód na to ,że nie jesteśmy antysemitami jak to usiłują sprzedać niektórzy na tym forum. Chyba jednak Polacy dokonali błednego wyboru! dlaczego Maliniak przeszkadza w przebudowie państwa? PAD wreszcie znalazł obszar wąskiej specjalizacji. PO CO CIĄGLE PAD PODLIZUJE SIĘ ŻYDOM JAK ONI NA NAS PLUJĄ I MAJĄ ZA NIC – SZKALUJĄ CIĄGLE W PRASIE, A JAKIŚ MINISTER OSTATNIO CHCIAŁ INTERWENIOWAĆ NA MARSZU NIEPODL. To może przestanie pan ,panie „Efialtesie” Duda niszczyć reformy obozu rządowego?? pad, przecież jesteś antysemitą. Nie zgadzasz się na wpuszczanie semitów do Polski. (zob encyklopedie: wśród semitów żydzi to mniej niż 10%, reszta to arabowie). Ja też nie chcę semitów w Polsce. Czy Pan Prezydent będzie tak gorliwie otwierał wszystkie wystawy dotyczące nas Polaków ?? Najtragiczniejszy rozdział, to ten w którym jeden naród mordował drugi choć nie musiał. To Grodno, Koniuchy, kazamaty UB i stalinizmu. O ty proszę głosić światu, a nie fikcję Polin. Tu Polska jest! Mam takie dziwne odczucie jakby pan PAD reprezentował interes Izraela lepiej niż sam ambasador tego kraju. Żądam,aby państwo Dudowie-Kornhauserowie dbali o interes Polaków conajmniej tak samo jak dbają o interesy Żydów.Nie proszę tylko żądam ponieważ to formalnie,prawnie Prezydent RP i pierwasza dama RP. No a co z holokustem na Wołyniu? Panie Maliniak proszę choć o nazwisko JEDNEGO Żyda ,który uratował w czasie II Wojny Światowej choć jednego Polaka-nazwiska ! Hallo, tu Polska a nie Izrael panie były prezydencie kornhauser zwany zosią. ADRIAN ??? KOGO ?? REPREZENTUJE ??!!! O POLAKACH MORDOWANYCH W BESTIALSKI SPOSOB ! !ZA TO ZE BYLI POLAKAMI BYLI ZRZNIECI … O TYM ADRIAN ANI SLOWA ??!!! NAMIESTNIK POLIN zmienil garnitur na CIEMNY, byl przygotowywany i szkolony od lat przed jego zainstalowaniem w PALACU by PILNOWAC OKRAGLEGO STOLU nr.2 TYLKO NAIWNI wierzyli w ODNOWE to zwykla KUKLA. pierwsza dama, żydówka opowiada dzieciom gojów historyjkę jak to ładnie być szczepionym jak to gut jak judejskie korporacji na nich zarabiają, a co tam goje, to tylko goje. Ankieta byla prowadzona w szkole na opolszczyznie, gdzie niedawno byl. Dzieciaki myslaly, ze to test z matematyki i stawialy krzyzyki na chybil-trafil. Dlatego tak wyszlo. Ten sondaz to typowa manipulacja, jak 23% nowoczesnej w tydzien po powstaniu. Nie znami te numery, Bruno aka Duda. a nie 110 %. ? Po zastanowieniu drobna uwaga: jest w filmie powiedziane, że los Ziemi zależy od ilości przebudzonych i ilosci niewolników. To jest łagodnie powiedziane – prawda jest taka, że kto nie zmieni swojego postępowania względem Ziemi ten straci ciało. Słońce właśnie dokonuje selekcji. Nawet jeśli nas – wojowników światła zostanie garstka to przetrwamy. Ziemia ochroni wierne dzieci swoje , swoich obrońów. 1.Poland lost Posen, Danzig and many more territories in favor of the Germany during Partisions of Poland (1775-1795) when Prussia, Russian Empire, Austria-Hungary without proper claims to this territories threaten that if Poles don’t resign from this lands they will attack Polish-Lithuanian commonwealth. Poland in 1795 lost independce for 123 years in favour of those countries. So telling about Danzig being stealed in 1918 by Poland is wrong, because they just retook their righfull lands from the thief the Prussia was. W odpowiedzi na zgłoszenia użytkowników wyłączyliśmy niektóre funkcje, takie jak dodawanie komentarzy, udostępnianie czy polecane filmy. Zrobiliśmy to, bo ten film zawiera treści, które mogą być nieodpowiednie lub obraźliwe dla niektórych grup widzów. Saudi Arabia is Finished. US government and media are in denial, but the facts are clear. The proposed strategies to deal with the problem are inadequate. This is a problem but it’s also an opportunity. Chciałbym, żeby inne dziennikarki (i dziennikarze także) były równie dobrze przygotowane do rozmowy, jak ta muzułmanka z Libanu! Słynny niemiecki projektant mody w ostrych skrytykował politykę imigracyjną Angeli Merkel. 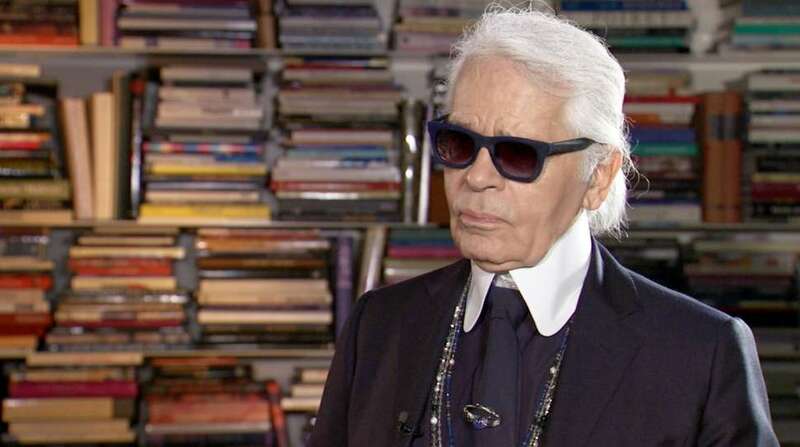 Lagerfeld uważa, że poprzez swoją politykę imigracyjną, Angela Merkel chciała zmienić wizerunek wyrodnej matki, który wyrobiła sobie źle traktując Greków w czasie kryzysu finansowego. Słowa Lagerfelda natychmiast wywołały składanie skarg do francuskiego odpowiednika rady radiofonii i telewizji (CSA). CSA nie podaje jednak, co zawierają skargi. to typowa wdzieczność żydow i ich akolitow za ratowamnie życia ich pobratymcom. W kraju mamy wysyp takich zaprzanskich chazarow. Wielokrotnie spotkalem sie z oszczerstwami ze strony Zydow, ze AK na Wilenszczyznie mordowala Zydow. W rzeczywistosci AK likwidowalo sowiecka partyzantke, do ktorej przylaczyli sie niektorzy Zydzi. Oczywiście Duszanski to „cyklista”. Zwróćcie uwagę że tylko „oni” torturowali z reguły patriotów czy w Polsce czy na Litwie. To nie zmienia jednak faktu, ze duza czesc Litwinow czynnie uczestniczyla przy boku Niemcow w zagladzie Zydow. I wykazywali sie szczegolnym bestialstwem. Tak jak Ukraincy. Skandal na Litwie. Kiedy autorka książki o Holocauście zaatakowała narodowego bohatera Litwinów, wywołała burzę. Jej książki wycofano z księgarń. Spotkało się to z ostrą krytyką zagranicznych mediów, które zaczęły pisać, że antysemicka Litwa knebluje wolność słowa. Wystarczyła jedna wypowiedź, by Ruta Vanagaite, autorka głośnej książki o udziale Litwinów w Holocauście, wstrząsnęła Litwinami, przy okazji podkopując własną wiarygodność. Oświadczyła, że legendarny przywódca antykomunistycznej partyzantki, który wpadł w ręce KGB w 1956, sypnął kolegów, mimo że wcale nie był torturowany. Potem miał dokonać samookaleczenia i popełnić samobójstwo. Bardzo szybko przeprosiła, przyznając, że nie mówiła prawdy. Ale było za późno, współpracujące z nią wydawnictwo zerwało umowę i zaczęło wycofywać wszystkie jej książki z księgarń, przerażone wizją bojkotu konsumenckiego. — mówi prof. Alvydas Nikžentaitis, litewski historyk, z którym rozmawiałam pisząc tekst „Zabić bohatera po raz drugi”, opublikowany w ostatnim numerze „Sieci”. Adolfas Ramanauskas, pseudonim „Vanagas ” czyli „Jastrząb ” został zatrzymany przez KGB w Kownie, długo poszukiwała go specjalnie utworzona grupa agentów, licząca 50 osób. Poddano go bestialskim torturom, wykastrowano i wyłupiono mu oko. Zapadł w śpiączkę, ale i tak skazano go na śmierć, wyrok wykonano i pochowano w nieznanym miejscu. Trudno zrozumieć, jak ktoś, kto zna realia historyczne, mógł uważać, że KGB nie torturowało ważnego przywódcy partyzanckiego, na którego polował zaciekle. Ruta Vanagaite twierdziła, że dotarła w archiwach do dokumentów KGB. Ale, jak uważają historycy litewscy, w rzeczywistości jej źródło było inne – pamiętniki Nachmana Duszanskiego, jednego z najgorszych oprawców, pracującego w KGBaż do początku lat siedemdziesiątych. To właśnie Duszanski uczestniczył w aresztowaniu Ramanauskasa i późniejszym śledztwie. Umarł spokojnie w Izraelu, który nie zgodził się na o ekstradycję, bo uznano, że zbrodnie Duszanskiego się przedawniły. — mówi dr. hab. Jarosław Wołkonowski, polski historyk urodzony na Litwie, autor licznych prac o Armii Krajowej na Wileńszczyźnie. Ubolewa, że Vanagaite zaatakowała właśnie Adolfasa Ramanauskasa, który jest nieskazitelnym bohaterem, jakiego potrzebują Litwini — litewski Sejm zamierza ogłosić 2018 właśnie jego rokiem. Jednak podkreśla też, że Vanagaite pisząc książkę „Nasi. Podróżując z wrogiem ” odegrała bardzo ważną rolę w ujawnianiu jak ogromna była na Litwie skala kolaboracji z Niemcami. Polacy na Litwie doskonale znali rolę, jaką odgrywali Litwini w czasie Holocaustu. Wszyscy wiedzieli, że w lesie w podwileńskich Ponarach litewscy strzelcy masowo rozstrzeliwali Żydów a także polską inteligencję, trupy wrzucając olbrzymich dołów, kopanych kiedyś jako zbiorniki na paliwo. Niektórzy słyszeli też o innych masakrach, jak choćby rzezi w Kownie, gdzie Litwini wymordowali Żydów zanim jeszcze wkroczyli tam Niemcy, a sygnałem stał się odtworzony przez radiostację hymn litewski. Tę wiedzę Polacy na Litwie wynosili z domu, bo w szkole na ten temat milczano, zarówno w czasach sowieckich jak i po odzyskaniu przez Litwę niepodległości, kiedy atakowano AK, gloryfikując równocześnie kolaboracyjne formacje litewskie. Wydana w ubiegłym roku książka Vanagaite, której nakład rozszedł się na Litwie w ciągu dwóch dni, przeorała litewską świadomość. Stało się tak dlatego, że została napisana przez Litwinkę , a nie kogoś obcego, komu od razu potraktowano by nieufnie. Obraz, jaki się wyłania z książki Vanagaite, jest szokujący. To Litwini sporządzają listy Żydów, doprowadzają na miejsce egzekucji, zabijają i grzebią. Niemcy są na drugim planie, istnieje rozbudowana kolaboracyjna litewska administracja i policja, która wszystkim się zajmuje. To nie „męty społeczne”, jak długo chcieli wierzyć Litwini, uczestniczą w Holocauście. Przyzwoici obywatele masowo kupują rzeczy i domy zamordowanych Żydów, wystawiane na aukcję przez litewską administrację, wstawiają sobie złote zęby wyrwane trupom, meblują mieszkania pożydowskimi meblami. Trudno wątpić, że rozliczenia z niechlubną wojenną przeszłością są dla Litwinów trudne. Wpadka Ruty Vanagaite, która bez powodu odsądziła od czci i wiary litewskiego bohatera. może te rozliczenia dodatkowo utrudnić. I właśnie to byłoby najbardziej fatalnym skutkiem całego skandalu. Bo ja wiem z wiarygodnych źródeł, że to byli tchórze i posłuszni wykonawcy swojego niemieckiego dowództwa. Np. pomocnictwo mordów na Żydach i polakach w Ponarach! Pisanie historii na nowo. Skąd my to znamy? A co na to Komisja Wenecka, RE i PE? O odesłaniu imigrantów, głównie z Erytrei i Sudanu poinformował premier Izraela Benjamin Netanjahu podczas niedzielnego posiedzenia rządu. Niemiecka agencja dpa przypomina, że Izrael jedynie w wyjątkowych przypadkach pozytywnie rozpatruje wnioski o azyl. Według komunikatu wydanego przez służby prasowe premiera Izraela, Netanjahu mówił o trzystopniowej polityce rządu w tej kwestii. Po pierwsze, dzięki zbudowaniu ogrodzenia na granicy z Egiptem napływ migrantów spadł niemal do zera, a po drugie, władzom już udało się wydalić z Izraela ok. 20 tys. „intruzów” – miał powiedzieć premier Izraela. Trzecią fazą, którą zapowiedział Netanjahum będzie „wzmożone wydalania z kraju” osób niepożądanych. Jest ona możliwa dzięki międzynarodowemu porozumieniu zawartemu przez rząd izraelski – miał zaznaczyć premier. Media spekulują, że chodzi o porozumienie z Rwandą i Ugandą. W trakcie procesu usuwania z kraju afrykańskich imigrantów w ciągu kilku miesięcy zamknięty zostanie budzący kontrowersje i obóz dla migrantów Holot na pustyni Negew. Wielu nielegalnych migrantów z Afryki mieszka także w dzielnicach biedy na południu Tel Awiwu, gdzie często dochodzi do konlfiktów między nimi a Izraelczykami. Biuro Wysokiego Komisarza Narodów Zjednoczonych ds. Uchodźców (UNHCR) wyraziło „głębokie zaniepokojenie” planami jakie ma rząd Izraela, zwłaszcza w kontekście zapewnienia bezpieczeństwa migrantom którzy mają zostać wydalone z kraju. Osoby ubiegające się o azyl i uchodźcy z Erytrei oraz Sudanu są zmuszeni wyrazić zgodę na wydalenie do jednego z krajów afrykańskich, w przeciwnym razie grozi im areszt w Izraelu. Izrael jest prawnie zobowiązany do ochrony uchodźców i innych osób szukających międzynarodowej ochrony – tłumaczy wysoki rangą przedstawiciel UNHCR Volker Tuerk. Skoro Kuwejtczycy są arabami, to są również Semitami. Skoro są Semitami, to nie mogą być przeciwko sobie samym, czyli nie mogą być anty-semitami. Nazizm to cecha mentalna Niemców. Będzie w nich zawsze. Dlatego atakując Polskę chcą odwrócić uwagę. To jakieś pomówienie Niemców! To niemożliwe żeby Niemcy byli antysemitami to na pewno chodzi o NAZISTÓW! a dlaczego Izrael nie wpuszcza do siebie Syryjskich uchodźców? Z jakiej to przyczyny? Nie z rasowej? To nie jest dyskryminacja . Każda firma ma prawo dobierać sobie klientów . Młody Izraelczyk Adar M. chciał polecieć z Niemiec przez Kuwejt do Bangkoku. Kuwejckie linie lotnicze jednak anulowały jego lot bo „jest on obywatelem Izraela”, a kuwejckie prawo zabrania kuwejckim przedsiębiorcom zawierania jakichkolwiek umów z obywatelami tego państwa. Adar M. złożył skargę w sądzie we Frankfurcie nad Menem, który uznał, że kuwejckie linie lotnicze miały prawo nie wpuścić go na pokład samolotu. Żydowskie organizacje są oburzone, a prezes Axel Spinger Matthias Döpfner mówi o „uległości Niemiec wobec islamu”. Sąd we Frankfurcie nad Menem uznał, że w Kuwejcie obowiązują od 1964 roku takie a nie inne przepisy, a niemieckie sądy nie mają prawa tych przepisów kwestionować. Ani decydować czy są one zgodne z obowiązującym w UE prawem. Poza tym w Niemczech karalna jest tylko dyskryminacja na tle rasowym, etnicznym, płciowym i religijnym. Dyskryminować kogoś na podstawie jego narodowości jednak można. —piszą sędziowie w uzasadnieniu wyroku. Media, politycy i organizacje żydowskie są oburzone. Podsekretarz stanu w ministerstwie sprawiedliwości (SPD) Christian Lange wezwał rząd w Berlinie do tego by zakazał kuwejckim liniom lotniczym prowadzenie działalności w Niemczech. Podobne zdanie wyraził burmistrz Frankfurtu nad Menem Uwe Becker. Burmistrz wystosował w tej sprawie list do ministra transportu Christiana Schmidta. —napisał Becker. Centralna Rada Żydów w Niemczech nazwała wyrok sądu „skandalicznym”. —stwierdziła organizacja. Adwokat Izraelczyka jest „zszokowany wyrokiem” i zapowiedział złożenie apelacji. Prezes wydawnictwa Axel Springer Matthias Döpfner nazwał wyrok sądu „wyrazem uległości wobec islamu”. A do czego to prowadzi można przeczytać w podręcznikach historii. To straszne, że w kraju, który niecałe 80 lat temu wymordował miliony żydów sąd może uznać, iż nie można wymagać od linii lotniczej by przewoziła obywateli Izraela. Co to mówi o naszym rozumieniu demokracji i praw człowieka? —pyta prezes Axel Springer na łamach dziennika „Die Welt”. Jego zdaniem „Niemcy podążają niebezpieczną ścieżką”. Publicysta Michel Friedman dodał na łamach „Deutsche Welle”, że to iż „dyskryminacja w Kuwejcie jest zgodna z prawem nie oznacza, że jest ona także zgodna z prawem w Niemczech”. Nie wszyscy uznają Izrael, panstwo rasistowskiego apartheidu. Izraelczyk posmakowal metod ktore stosuje jego kraj w znacznie ostezejszej formie. Co nie przeszkodzi im w dogadywaniu się z Niemcami przeciwko Polsce jeżeli tylko będzie im się to opłacało. Gdzie są tzw „obrońcy demokracji i wartości europejskich”??? Tusk nic jeszcze nie „tłitnął”?? Czemu się dziwicie?Przecież to szwaby mordowały i paliły żydów na masową skalę.Wydać taki werdykt to dla nich pestka. No i co Niemcy. Kto tu jest antysemitą? zapomnieliście o swoich obozach w Polsce? Te obozy były niemieckie nie nazistowskie, one były niemieckie!!!!!!!!! to niemiecki wyraz troski o życie żydków, na całym świecie, szczególnie w krajach wokół żydowskiego płotu, żydzi są tak znienawidzeni, że mogliby żywi nie dolecieć tym arabskim samolotem do Kuwejtu. To nie do zniesienia, że zagraniczna firma może prowadzić działalność w Niemczech na podstawie otwarcie antysemickiego prawa. Przeciez powodem bojkotu jest polityka Izraela. Co mozna zreszta sprawdzic bardzo prosto. Palestynski obywatel Izraela powinien zamowic ten sam bilet. Zobaczymy czy go otrzyma czy nie. Jezeli tak, to antysemityzm, jezeli nie to polityczny bojkot a nie antysemityzm. To po co amerykańscy żydzi wyzwolili kuwejt od Saddama? Żeby mogli stosować swe arabskie chore prawo wobec ich pobratymców z Izraela? Świat zwariował. To nie przedsiębiorca decyduje komu wykonuje usługę. Wszystko idzie po ich myśli, chybe, że nagle dotyczy ich. Nasz drukarz został ukarany za odmowę LGBT plakatów. Jest wolność, czy jej nie ma ?? Ide o zaklad ze ten „pasazer ” zrobil prowokacje , aby pokazac jak to Zydzi sa gnebieni. Przeciez dobrze wiedzial jakie jest prawo w Kuwejcie . Pal sześć casus Izraelczyka i cały „antysemityzm”. Sędziowie w Niemczech głośno i oficjalnie stwierdzają że dyskryminacja ze względu na obywatelstwo jest w Niemczech dopuszczalna… Jak szybko Europa zaadoptuje te „niemieckie zdobycze kultury prawnej”? Co na to wszyscy polscy obywatele pracujący/mieszkający w Niemczech? Ta sprawa daleko wykracza poza „antysemityzm”, problem w tym, że Żydzi krytykując wyrok jako „antysemicki” robią to z tych samych, szowinistycznych pozycji. Bo co oznacza uznanie wyroku za „antysemicki”? Oznacza że gdyby sprawa dotyczyła Polaka (ale ze względu na obywatelstwo, a nie narodowość 😉 to pies z kulawą nogą nie zwróciłby uwagi na wyrok. Dalej jest jeszcze śmieszniej, bo najgorzej wyszliby na tym… polscy Żydzi – prześladowani nie jako Żydzi, tylko jako obywatele Polski. W myśl niemieckiej kultury prawnej – ani dyskryminacja, ani antysemityzm 😉 Zarzut antysemityzmu by ich już nie dotyczył, bo przecież… dyskryminacja w oparciu o obywatelstwo to nie jest dyskryminacja, a prześladowani byliby jako obywatele Polscy co jest zgodne z „niemiecką kulturą prawną”, a nie jako Żydzi. 😉 Normalnie strach się bać co tam jeszcze w Niemczech mędrcy uchwalą. IZRAELSKA MINISTER STRACI STANOWISKO Z POWODU KRYTYKI AMERYKAŃSKICH ŻYDÓW? Wiceminister spraw zagranicznych Izraela Cipi Hotoweli skrytykowała Żydów mieszkających w USA za prowadzenie „wygodnego życia”. W środę Hotoweli w wypowiedzi dla izraelskiej telewizji i24, komentując spory między liberalnymi Żydami ze Stanów Zjednoczonych a rządem izraelskim, dotyczącymi polityki wobec Palestyńczyków i ograniczeniom dla nieortodoksyjnych Żydów przy Ścianie Płaczu w Jerozolimie, stwierdziła, że amerykańscy Żydzi „nie wysyłają swoich dzieci, by walczyły o swój kraj”, i „większość z nich prowadzi wygodne życie”. Hotoweli wczoraj tłumaczyła, że cytaty zostały wyrwane z kontekstu i „nie oddają istoty jej przesłania”, równocześnie zaznaczając, że amerykańscy Żydzi są bardzo ważni dla Izraela. Premier Binjanim Netanjahu skrytykował jednak wypowiedź swojej wiceminister. „Żydzi z diaspory są nam drodzy i są nieodłączną częścią naszego narodu” – podkreślił izraelski premier. Izraelskie media donoszą, że Hotoweli może stracić swoje stanowisko. Wczoraj ponownie przeprosiła przed kamerami za swoją wypowiedź. Była dyrektorka wykonawcza proizraelskiego think-tanku w USA twierdzi, że wielu amerykańskich żołnierzy rozumie potrzeby związane z bezpieczeństwem narodowym Izraela. 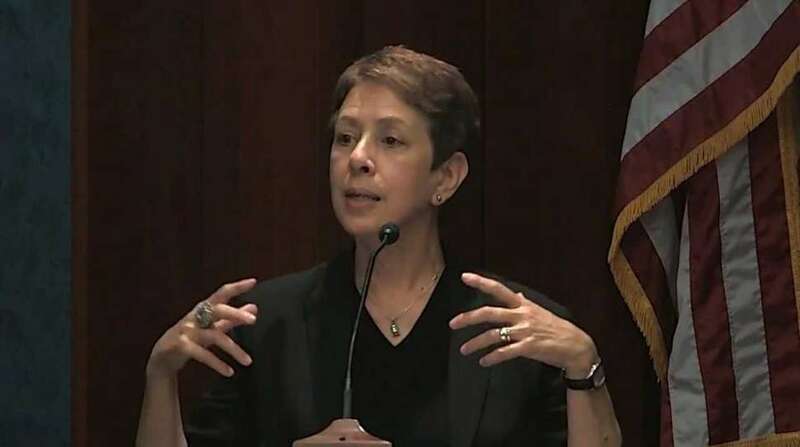 Shoshana Bryen to była dyrektorka wykonawcza Jewish Institute for National Security Affairs (JINSA), obecnie związana z Jewish Policy Center. Bryen podzieliła się swoimi doświadczeniami i obserwacjami związanymi z organizowaniem wycieczek dla amerykańskich specjalistów od bezpieczeństwa do Izraela. „Zorganizowałam dla ponad 400 amerykańskich specjalistów od bezpieczeństwa, głównie emerytowanych amerykańskich admirałów i generałów, 30 podróży do Izraela. Przed otrzymaniem patentu oficerskiego, wysłałam również 500 kadetów i kadetów marynarki wojennej naszych akademii do Izraela. I mogę powiedzieć, że wszyscy zrozumieli podstawowe i głębokie zasady, którymi kierują się Stany Zjednoczone i Izrael. Nie zawsze zgadzają się z polityką Izraela lub izraelskimi działaniami obronnymi, albo z jakimkolwiek innym pojedyńczym aspektem izraelskiego życia politycznego, wojskowego i społecznego, ale nigdy nie miałam do czynienia z takim, który nie wierzyłby w związek między Żydami i izraelską ziemią. Armia Stanów Zjednoczonych jest zatem syjonistyczną instytucją” – napisała Bryen. Na te obserwacje Bryen odpowiedział pułkownik Walter Patrick „Pat” Lang, Jr., emerytowany oficer US Army i pracownik wywiadu wojskowego. Lang uważa, że Bryen ma racje, gdyż „Armia USA wydaje się teraz całkowicie skupiać na celach polityki Izraela w Iranie, Syrii i Iraku”. Według Langa, proces „syjonizowania” amerykańskich żołnierzy trwa od dawna. Jak napisał: „(…) kiedy wstąpiłem do armii w 1962 roku, nikt w korpusie oficerskim nie interesował się Izraelem (…) wojna w 1967 okazała się przełomem. Całkowite zwycięstwo Izraela było nieoczekiwane. Amerykanie są psychicznie napędzani przez agresywne sportowe analogie, a Izrael był zwycięzcą. To zrobiło wielkie wrażenie, pomimo powtarzających się całodniowych ataków izraelskiego lotnictwa i marynarki wojennej przeciwko okrętowi wywiadowczemu USS Liberty, stacjonującego u wybrzeży Egiptu. LBJ [prezydent Lyndon Johnson] stłumił zbrojną reakcję amerykańskiej grupy bojowej i dochodzenie w tej sprawie. Jego polityka polegała na całkowitym popieraniu Izraela”. Lang zauważa, że program zaznajamiania amerykańskich oficerów i specjalistów ds. bezpieczeństwa z Izraelem rozpoczął się na dobre po wojnie sześciodniowej i został zorganizowany przez czołowe organizacje lobby izraelskiego w USA, tj. AIPAC i wspomniany JINSA. „W rezultacie mamy do czynienia z bezmyślna usłużnością starszych i młodszych oficerów amerykańskich, którzy wspierają izraelską politykę wobec Iranu, Syrii, Libanu, Palestyny, a teraz Arabii Saudyjskiej. Garstka wyszkolonych specjalistów od Bliskiego Wschodu i wykształconych amerykańskich oficerów jest ignorowana, traktowana jako eksperci techniczni lub wypychana za drzwi, gdy dochodzi do głosu” – napisał Lang.